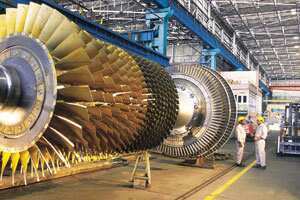 Fair practice: A gas turbine at an assembly unit of Bhel. Some public sector firms, including Bhel, are signing integrity pacts on 16 December. New Delhi: Transparency International India (TII), the local chapter of a global non-profit organization that tries to combat corruption, says lack of resources is hampering its efforts to effectively monitor agreements it has signed with 29 public sector units (PSUs) in India, which would lead to “integrity pacts" to ensure transparency in public procurement deals. “We are yet to start the monitoring effectively as we do not have the resources," said S.K. Agarwal, vice-chairman, TII. The pacts, signed over the past two years, would benefit the PSUs when they bid for international projects. The integrity pacts were launched by Transparency International in the 1990s and have been implemented in several countries and large-scale infrastructure projects. The PSUs that have signed the pact include Oil and Natural Gas Corp. Ltd, Rashtriya Ispat Nigam Ltd, Hindustan Petroleum Corp. Ltd, GAIL (India) Ltd and Coal India Ltd.
ONGC chairman and managing director R.S. Sharma said such pacts have an in-built monitoring mechanism. “TII does not take care of the compliance, it is the independent external monitors (IEMs) who are appointed that look into the compliance part. We have three IEMs and have been following the model and have not faced any problem." About a dozen other PSUs are expected to sign the integrity pacts with TII over the next few months. NTPC Ltd, Bharat Heavy Electricals Ltd, NHPC Ltd and Power Grid Corp. of India Ltd are expected to sign the pacts on 16 December. They would be followed by Damodar Valley Corp., Rural Electrification Corp. Ltd, Power Finance Corp. Ltd, North Eastern Electric Power Corp. Ltd, Tehri Hydro Development Corp. Ltd, Satluj Jal Vidyut Nigam Ltd and Bhakra Beas Management Board. “We will shortly sign the pact and it will help in following certain practices that are good for the business as well," said R.S. Sharma, chairman and managing director, NTPC. A senior NTPC executive, who requested anonymity, said it will take some time for effective monitoring systems to be put in place. “Signing is the first step followed by the appointment of independent external monitors in consultation with the Central Vigilance Commission (CVC)," the executive said. CVC, a government oversight body that had previously recommended all government-owned firms sign the integrity pact, had recently put a few power sector undertakings under the scanner following the awarding of some big ticket projects. According to CVC, the pact is a vigilance tool and “envisages an agreement between the prospective vendors, or bidders and the buyer committing the officials of both the parties, not to exercise any corrupt influence on any aspect of the contract". Not everyone is convinced that signing the pact would make a huge difference. “The integrity pact does not create any new legal mechanism by which the offenders can be prosecuted. Therefore, the real deterrent will be only if the existing vigilance agencies start implementing the existing anti-corruption laws effectively," Arvind Kejriwal, a right to information activist, had earlier told Mint.